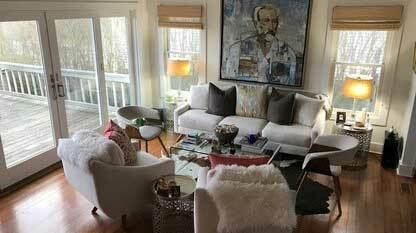 Featured Rentals – James R. McLauchlen Real Estate, Inc.
On the first floor of this quintessential New England/Hamptons cottage are a new kitchen, comfortable living room, dining room and a master bedroom with new ensuite bathroom. Upstairs are two large bedrooms and a new bathroom. Bedrooms have queen beds. The entire house was renovated in 2015-16, including comfortable “green” geothermal central heating and cooling. The back porch faces a private lawn. Parking is in driveway and on street. Furnished, with fully outfitted kitchen. Linens, towels and utensils provided. Walk one block to shops and restaurants. Walk or bike to the ocean beaches. Unbeatable location. Enjoy the summer at this amazing home with a South of France Mediterranean decor. This exceptional property offers a 5000 square foot residence with a top of the line gourmet cook’s kitchen, formal dining room with seating for 10, several large public rooms for entertaining, five bedrooms and four full baths. Large terraces for outdoor dining and entertaining, a full out door kitchen with a pizza oven, heated gunite pool, gardens, bocci court and complete privacy. Perfect for a family. This stunning open concept property is offered for the first time for rent. An easy, flat one mile walk to Shinnecock Golf Club House to enjoy the US Open in June 2018! Huge living room with southern wall floor to ceiling glass and massive second floor deck with unobstructed bay views. Gourmet kitchen, breakfast bar, formal dining room, three masters with ensuite baths, every room has amazing views. The home has an additional bed room, full bathroom, laundry room and den. Outside enjoy the waterfront heated swimming pool, bulkhead with deck for waterside relaxing, BBQ and large entertaining waterfront patio. Central air, every amenity. Paradise Awaits! 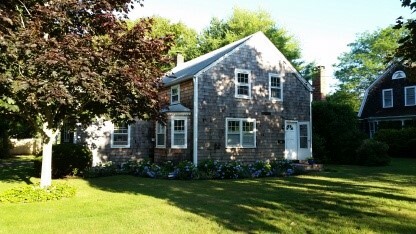 Enjoy the summer months in this great beach house, lots of glass and big views over Shinnecock Bay to the Atlantic Ocean. Open living and dining means you get this great view from inside and outside! Three bedrooms, master suite, cozy fireplace. Outside there is a large deck for entertaining, hot tub, and steps down to your very own private beach! This mint traditional offers spacious public rooms, five bedrooms, three full and one half baths, granite country kitchen and dining area. Outside there is extensive entertaining areas, free form heated gunite pool, outdoor firepit, outdoor shower and a large fenced in rear yard. 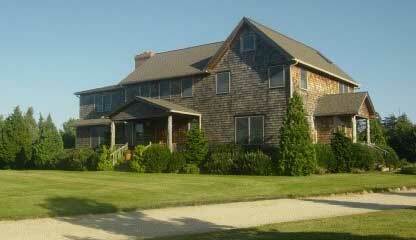 A perfect location just minutes to Southampton Village shopping and restaurants and ocean beaches. Beautiful Family home located only minutes to the famous Stanford White Designed Club House where the 2018 US Golf Open will be held, this home offers large living space, formal dining, comfortable den, master suite, and an additional three bedrooms and two full baths. Gourmet kitchen. Plenty of south facing patio for entertaining or relaxing while enjoying the pool. This very private home is situated on almost two acres and enjoys a very quiet environment surrounded by beautiful gardens and lush landscaping. The house has a large living room with fireplace, large gourmet kitchen with island and formal dining area overlooking the pool and gardens. 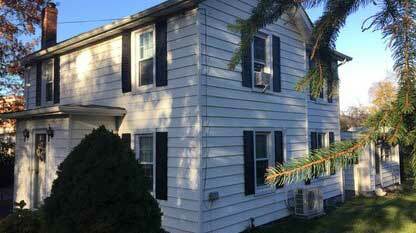 There are three bedrooms, including master with full bath and additional guest bath. Downstairs in the finished basement with large living space with fireplace, full entertaining bar, additional bathroom and bedroom. Outside enjoy covered patios, pool with extensive decking and lots of sun. Great for entertaining or enjoying a quiet afternoon. 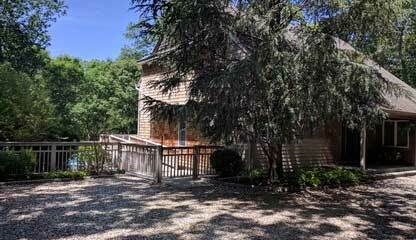 Behind the gate and hidden away is this charming colonial cottage. 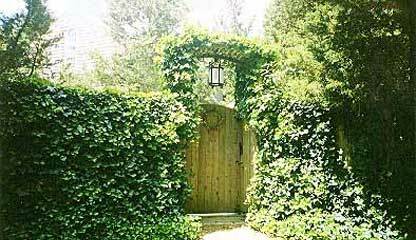 Surrounded by beautiful ivy-filled gardens and cedar trees, this wonderful home offers living room with fireplace, dining area, gourmet kitchen with sunny breakfast room, three bedrooms and two baths. Beautiful, completely private swimming pool and patios. This is a very special place. Memorial Day-Labor Day 2010, $39,000; July through Labor Day 2009, $34,000. Folio 3501. Enjoy the summer in this light and bright contemporary. Great entertaining spaces inside and out. Four bedrooms, four full baths, open living/dining spaces, gourmet kitchen. Large outdoor deck and pool. Walk to bay beach. This fantastic beach house is perfect for enjoying the summer months or all year round! 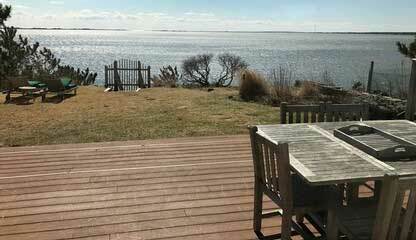 Great location in Southampton Shores, offering privacy and quiet. Walk to your own private beach, perfect for sailing, paddle boarding, swimming and shell collecting. The house offers very comfortable living with an open concept living room with fireplace and cathedral ceilings. There are two guest rooms on the first floor which share a bath. 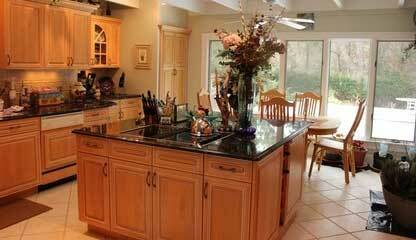 There is a new kitchen with breakfast bar, separate large dining room and a large master suite with private bath. Upstairs there is a large loft space with two twin beds for guest overflow, and an upstairs second master with full bath. 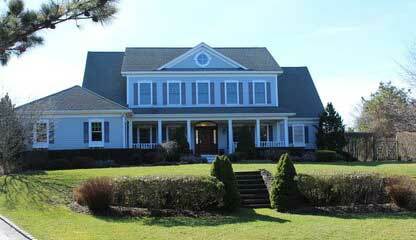 Outside, enjoy your pool with decking, large lawn and water views to Wooley’s Pond. There are two community tennis courts. This is a beautifully decorated neat and clean family home located on a quiet street in North Sea. There is a large living rooom, professional gourmet kitchen, media room, dining room, first floor master suite, and additional four bedrooms and four and one half baths. Outside enjoy the heated pool and extensive decking, perfect for entertaining. There is beautiful landscaping, kids play tower and swing set. 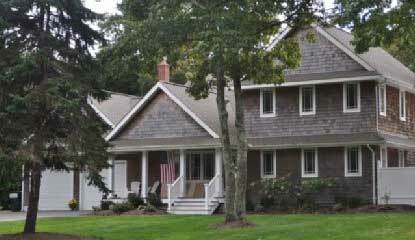 Just minutes from Southampton Village and ocean beaches. This fabulous home is located in the heart of Southampton Village behind high hedges and offers privacy and beautiful landscaping, convenient to shopping and beaches. The home offers living room, formal dining, kitchen, seven bedrooms, and nine and a half baths. There are French doors, hardwood floors, three fireplaces, a media room, exercise room, three car garage, and a heated pool with pool house for guest overflow. Also there are separate guest quarters with full kitchen, bath and living room. Absolutely stunning property! 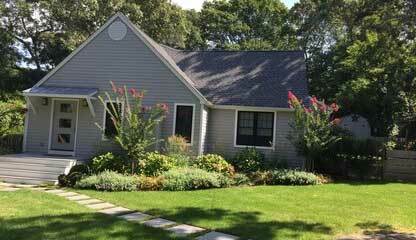 Enjoy the summer in this fantastic Sag Harbor home…offering four bedrooms, two full baths, great location. Walk to Main Street shopping, restaurants and the Long Wharf. 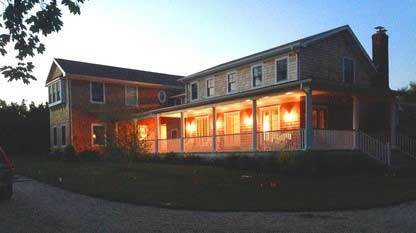 Enjoy the amazing views out to Shinnecock Bay from this fantastic beach house. Fully bulkheaded with its own sandy beach and fire pit, this is a great place to swim, sun and entertain. Large open backyard is perfect for BBQ’s and entertaining. Inside enjoy the open living room and kitchen area and walk out to a large elevated deck perfect for dining for eight. Full southern view and sunshine all day, and beautiful sunsets in the evenings. There are three bedrooms and an additional sitting/TV room for extra guests. All bedrooms have stunning water views. Two full and one half bath. The house was completely renovated in 2017, cook’s kitchen all Thermador appliances, hardwood floors throughout, central air and designer decorated. The bedrooms have flat screen TV’s, wifi internet. New BBQ. Two person kayak available. Lots of outdoor entertaining space and furniture. Adirondack chairs and chaise lounges for the beach. Come find your summer beach house! One block to the Hampton Classic, this well appointed home is designed for comfort and in an ideal location close to town, shops, train and Jitney. The house offers two wings, emcompassing six bedrooms, eight baths, two fireplaces, pool and outside entertaining areas. 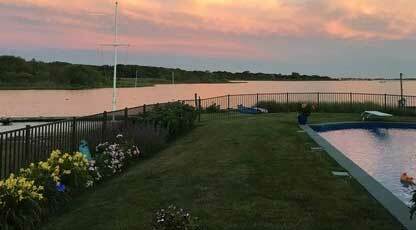 This is an extraordinary opportunity to stay in a bayfront property for the US Open at Shinnecock Hills this June. This comfortable beach house offers unobstructed bayfront with forever views over to the Atlantic Ocean. 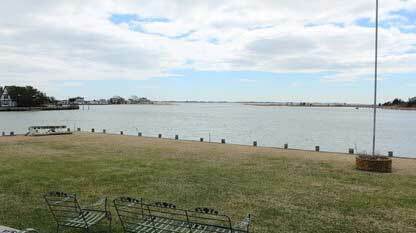 Outside enjoy a large deck overlooking the water with an expansive lawn. Inside there are three bedrooms, cathedral living room, and lots of windows looking out to the water.